When Piaget launched their Polo S-collection, it was the reintroduction of stainless steel in their men’s collection after the Upstream. Earlier this year the brand expanded the number of styles that the watch is available in, now introducing precious metal cases, as well as leather straps. In all honesty, we were immediately taken by the rose gold version of the Polo S Chronograph, with its blue strap. 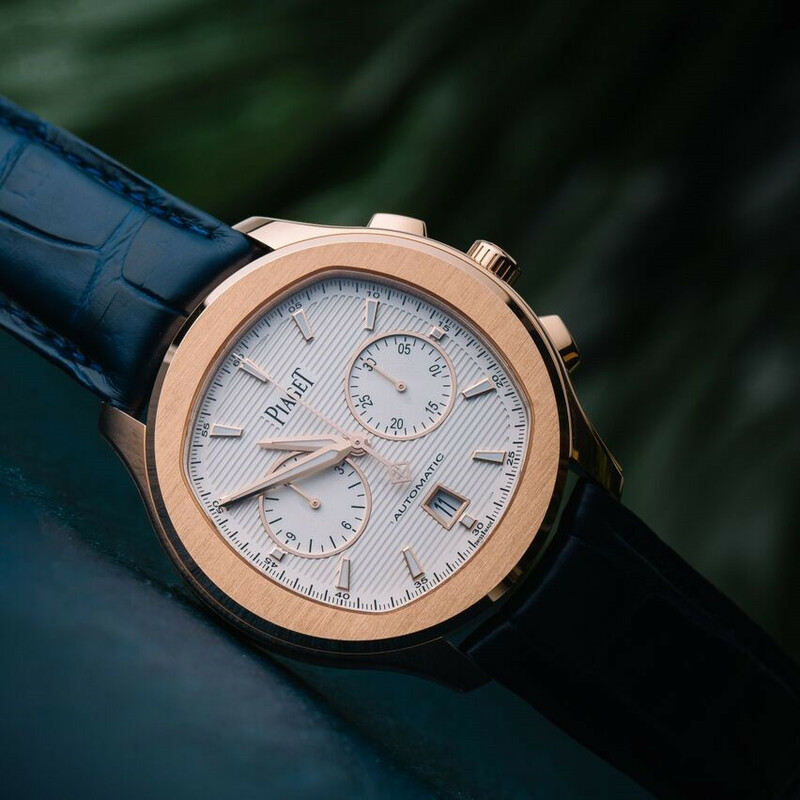 While the stainless steel version is undeniably more sportive, it is this version that takes us back to the times of the very first Piaget Polo: a watch for the who-is-who in the world of the rich and famous. 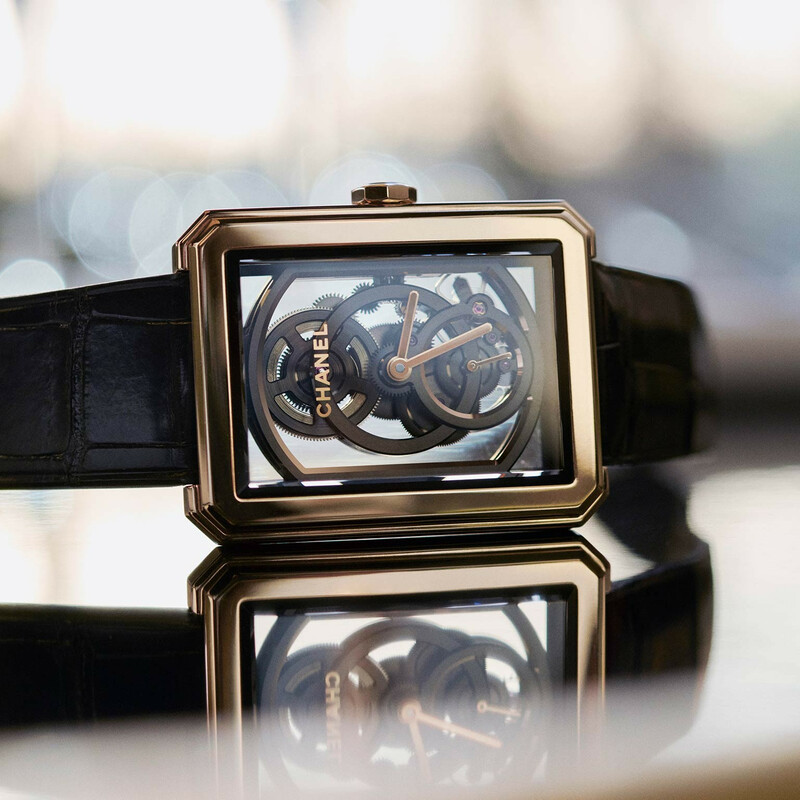 It has a profound luxurious look and feel to it, which is presented in that typical Piaget-style, starting with the unique shape of the case. Cushion shapes are rarely used in watchmaking, let alone watches that represent the more sportive side. A pity, as Piaget proofs with the Polo S, as it can look absolutely stunning. Especially the difference in texture between the dial itself and the subdials for the minute and hour counter is stunning. Piaget frames them with a slight gold rim, which adds to the appeal. The watch lacks a running seconds, and that makes it actually chicer, although always ready for action. This is also thanks to its movement: caliber 1160P, a self-winding movement that is made in-house by Piaget. The oscillating weight features the brand’s coat of arms and can be admired through the glass back. It is also the robust construction of the back which further confirms the sportive pedigree of the Polo S Chronograph. 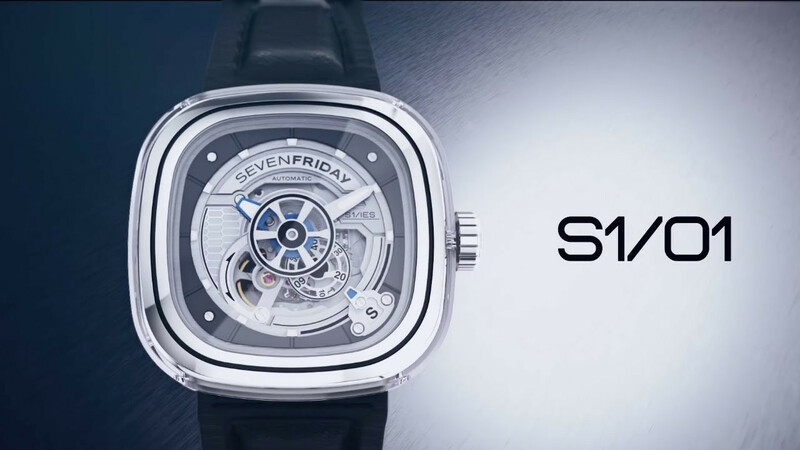 A watch that can handle the fast pace of life, but makes a point to look good while doing so! 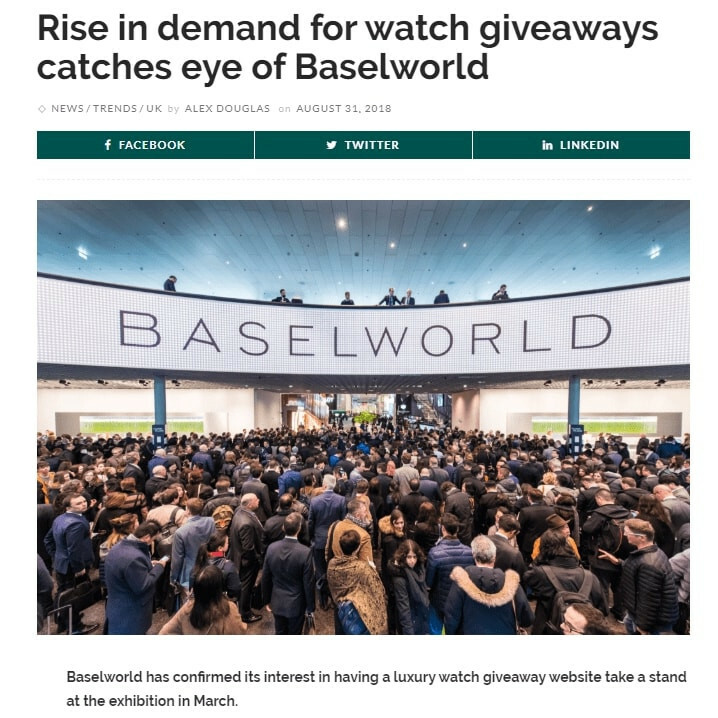 Rise in demand for watch giveaways catches eye of baselworld! Free giveaway when we hit 10k on instagram!